I wanted to make a wedding card for a sweet lady who's getting married next week. (Of course it is also for her husband to be but I only know her). The colors of her wedding are navy blue, blush and gold. I used white cardstock as base and then combined blush cardstock with navy blue cardstock as second and third layers. 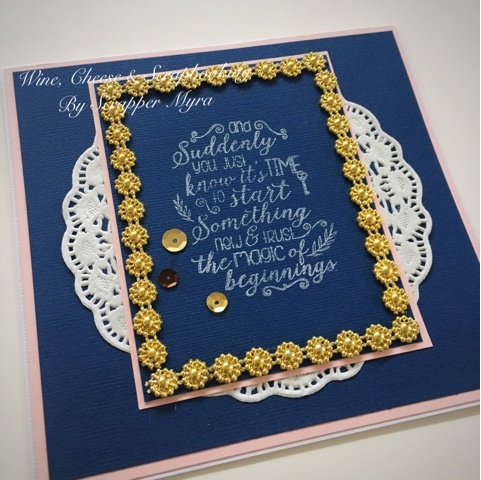 Another layer was meant for the stamped sentiment framed with a wonderful gold border. 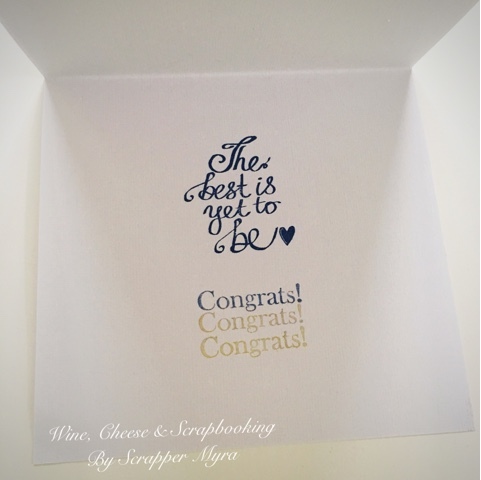 I tried several ink colors and techniques for the sentiment, including heat embossing in gold but the message wasn't clear or legible on the navy blue cardstock. I ended up stamping it with white pigment ink. 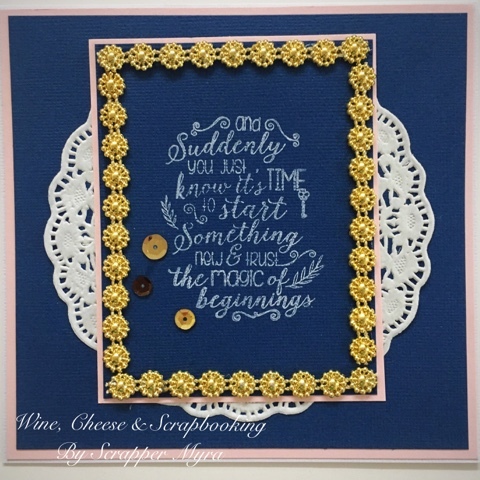 So I was thinking of using (or not) a white doily behind this sentiment layer. I even posted in my social media platforms a question for people to comment. Thank you all for commenting and giving me tips. It was awesome. Well. I decided to add the doily. I think it provided an additional element of elegance and made the card more delicate. Maybe less formal but I think also helped to provide some dimension since the sentiment was placed with dimensional adhesives. I also added some gold sequins that really balanced it all at the end. Happy Birthday to a Millennial! Not!